The U.S. Department of Transportation’s Federal Transit Administration (FTA) today announced a total of $1.36 billion in federal funding allocations to 16 new and existing transit projects in the Capital Investment Grants (CIG) Program. 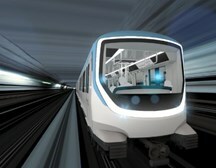 FTA is allocating approximately $424.8 million in appropriated Fiscal Year (FY) 2018 CIG funding to two projects that have existing construction grant agreements and five new projects, subject to further review and approval, that are nearing readiness for consideration to receive such an agreement. 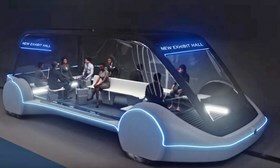 The Boring Company’s proposed loop of underground express-route tunnels, using autonomous electric vehicles, is to become reality in Las Vegas - The Las Vegas Convention and Visitors Authority (LVCVA) Board of Directors have made a monumental decision regarding Southern Nevada’s transportation, approving Elon Musk’s The Boring Company to design, construct and operate a people mover via a loop of underground express-route tunnels that could carry passengers in autonomous electric vehicles at high speeds. 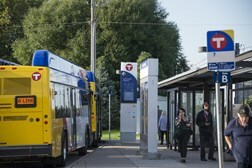 The U.S. Department of Transportation’s Federal Transit Administration (FTA) today announced a total of $281 million in additional Fiscal Year 2018 federal funding allocations to five transit projects in Arizona, California, Minnesota, and Texas. Funding will be provided through FTA’s Capital Investment Grants (CIG) Program. "These significant investments in the public transit systems in five communities across the country will improve mobility for riders who depend upon public transit every day," said U.S. Transportation Secretary Elaine L. Chao. Mass transit is probably the most influencing force shaping cities. 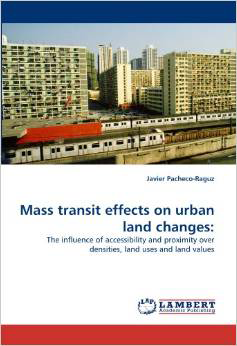 As straightforward measures between transport and urban land, accessibility and proximity (distance) have direct impact on how land values, land uses and densities thrive or decline in the catchment area of transit corridors. In this book, these variables are analyzed in the case study of the LRT1 in Manila, Philippines. A gravity model built within GIS and applied statistics evidence the influence of accessibility or distance on the variables in time series before and after the LRT1. Passport uses the latest technology to improve the urban transit and parking process, empowering transit and parking providers with mobile payment applications helping them compete in this rapidly changing environment.